Sustaining serious injuries in an accident can have far reaching consequences for the injured parties and their families. For instance, particularly traumatic injuries are often difficult, painful, and expensive to treat, and could still leave a person struggling with disability for months or even years after an accident, while also trying to stay on top of mounting medical bills. Fortunately, Florida residents who are injured in accidents caused by another person’s negligence can recover damages from the at-fault party, compensating them for medical expenses, lost wages, and pain and suffering. However, collecting compensation for these losses can be difficult, especially for those who are recovering from severe injuries, so if you were injured in an accident, it is critical to speak with an experienced personal injury attorney who can ensure that your own claim is filed correctly and on time. Loss of enjoyment for those whose quality of life suffered as a result of their accident. When making these calculations, courts take a number of factors into account, including the severity of the injury in question and the nature of the accident. Besides compensatory damages, accident victims could be eligible to receive punitive damages, which are awarded in cases where the at-fault party’s conduct was particularly negligent or reckless. While compensatory damages are used to make a victim whole, the purpose of punitive damages is to punish the specific at-fault party. 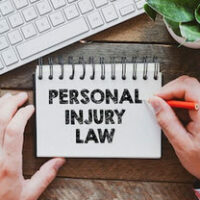 Finally, the damages that an injured party can collect could be affected by his or her own role in causing the accident. This is because Florida is a comparative negligence state, which means that even if an injured party was partially responsible for an accident he or she will still be able to recover damages, although the amount that can be recovered will be reduced by that individual’s degree of fault in causing the accident. To speak with an experienced Fort Lauderdale personal injury attorney about whether you or a loved one might be eligible for damages, please contact Boone & Davis at 954-566-9919 today.